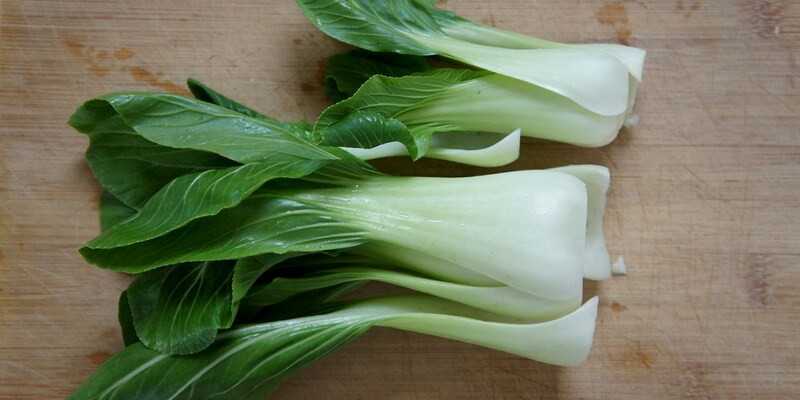 Popular in East Asian cooking, pak choi is also known as bok choy or occasionally under the umbrella term 'Chinese cabbage'. It is an interesting vegetable, with the delicate leaves and firm stalk each offering different textures and aesthetic to a finished dish. Because of this, it should be cooked carefully to ensure that the leaves are beautifully wilted while the stalks retain their refreshing crunch - read our how to cook guide for some great advice on using pak choi. While traditionally a popular mainstay in East Asian dishes - such as Alan Murchison's beautifully delicate bream with galangal broth - it is by no means restricted to the food of this region. Murchison reminds us that pak choi is, after all, a member of the cabbage family by pairing it with root vegetables and game in his wonderfully earthy wood pigeon with cobnuts.